Sue, this is great advice. I would also add that it's important to use kid-friendly comparisons. 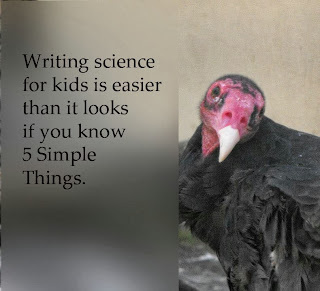 I rely on them in every single article I write so children can learn new concepts easily. Great tips Sue, all helpful. A small sample of what you offer in your Writing Nonfic for Kids class! You are 100% right. The comparisons have to be kid friendly. I've actually figured out the cubic feet in a back pack so that I could give amounts in terms of back packs. Helpful comments for non-fiction writing.